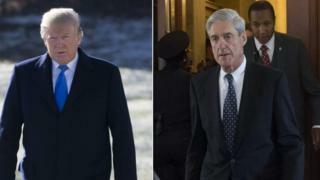 Image caption President Donald Trump (left) has criticised Robert Mueller's (right) investigation as a "witch hunt"
Mr Trump and other Republicans have repeatedly condemned the probe as a "witch hunt". In his letter to Congress' judiciary committee leaders - Senators Lindsey Graham and Dianne Feinstein and Congressmen Jerrold Nadler and Doug Collins - Mr Barr confirmed there were no instances during the investigation where the Department of Justice had interfered with Mr Mueller's work. The attorney general said he will now consult with Deputy Attorney General Rosenstein - who managed the inquiry prior to Mr Barr's appointment - and Mr Mueller "to determine what other information from the report can be released to Congress and the public". Mr Trump has repeatedly said there was "no collusion" with Russia and "no obstruction". The president refused to sit for an interview with Mr Mueller's team during the inquiry, but his lawyers submitted written answers to questions after months of negotiating terms. Out with a letter, not a bang? The details of the final report have yet to be disclosed, but because Attorney General Barr has said there were no instances where he or his predecessors overrode the special counsel's prosecutorial decisions - and no new indictments have been announced - it seems possible that what we have seen with the criminal portion of the probe is what we're going to get. 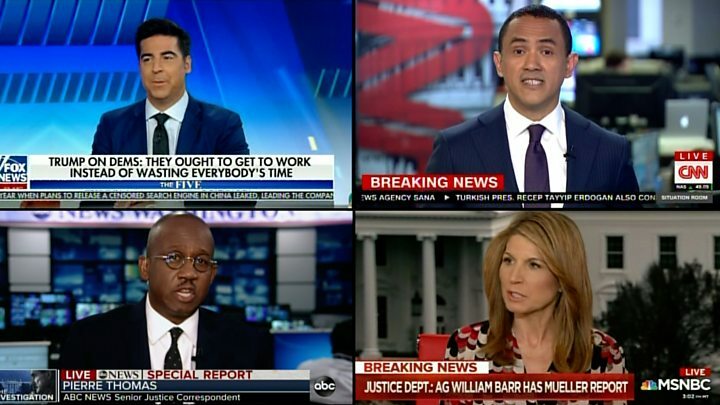 Without a criminal caseload directly related to "collusion" by members of the Trump campaign - the central thrust of the investigation - it seems certain the president and his White House surrogates will shout from the hilltops that their side has been exonerated. After today's developments, however, the president will continue to claim he is the victim of an unfounded "witch hunt". White House Press Secretary Sarah Sanders said in a statement: "The next steps are up to Attorney General Barr and we look forward to the process taking its course. The White House has not received or been briefed on the Special Counsel's report." Mr Trump's personal lawyers Rudy Giuliani and Jay Sekulow echoed a similar sentiment, saying they were "pleased" the report had been delivered and trust Mr Barr to "determine the appropriate next steps". Mr Nadler, a New York Democrat, acknowledged the investigation had concluded on Twitter, saying: "We look forward to getting the full Mueller report and related materials." 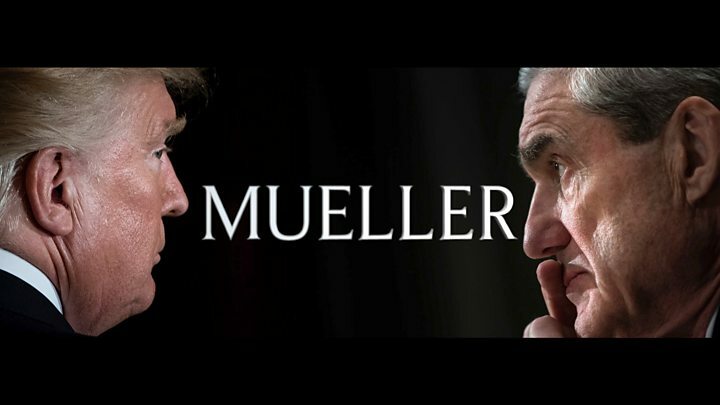 Earlier this month, the House of Representatives voted unanimously for a resolution demanding the Department of Justice release the full report to the public, signalling support within both parties to find out whether Mr Mueller discovered any criminal wrongdoing. Speaker of the House of Representatives Nancy Pelosi and Senate Democratic Leader Chuck Schumer also called for transparency in a joint statement, adding that the White House "must not be allowed to interfere". "The Special Counsel's investigation focused on questions that go to the integrity of our democracy itself: whether foreign powers corruptly interfered in our elections, and whether unlawful means were used to hinder that investigation. The American people have a right to the truth." Mr Graham, a South Carolina Republican and vocal Trump supporter, said he "always believed it was important that Mr Mueller be allowed to do his job without interference, and that has been accomplished". What happens next is in Mr Barr's hands. Legally, the attorney general is under no obligation to release the report publicly, and his copy to Congress could contain redactions, but during his confirmation hearings before senators he vowed to release as much as he could. And if he does provide Congress with the full details, members could leak the report to the public. With the 2020 presidential elections looming, candidates are expected to campaign with promises of making the full report public. Many of the Democratic hopefuls - Beto O'Rourke, Bernie Sanders, Cory Booker, Amy Klobuchar, Kirsten Gillibrand, and Julian Castro - have called for the full release of the report. The House of Representatives will also continue to investigate the administration, and they could ask Mr Mueller to testify or demand that Mr Barr provide relevant materials.